Celebrate the season at the famed Ray’s and Stark Bar, located at the Los Angeles County Museum of Art. Experience the indoor to outdoor space as you dine near the Urban Lights while enjoying a festive prix-fixe menu by Chef Fernando Darin. Enjoy Three & Four-Course dinner, plus a special Cranberry Aperol Spritz cocktail. In the heart of Downtown LA and adjacent to the historic LA Central Library, Café Pinot offers California French-inspired cuisine. Set against the glimmering backdrop of the city lights, and whether you’re dining inside or on our stunning garden patio, we deliver the perfect outdoor holiday dining experience. Choose from Three, Four, Five & Six-Course festive menus with custom wine pairings available. Celebrate the season at the newly renovated Kendall’s Brasserie. Sip and indulge in Chef Jean-Pierre Bosc's modern, vibrant take on traditional French cuisine, in a Parisian-inspired atmosphere. Savor Three, Four or Five decadent courses and sip on our special Holiday Sparkler cocktail. Nick & Stef's Steakhouse boasts contemporary high-design in the Bunker Hill area of Downtown LA. This reimagined steakhouse offers the finest ingredients from USDA Prime steak, fresh seafood and inventive signature sides. Enjoy a Surf & Turf special of petit filet and lobster tail by Chef Megan Logan, with complimentary Champagne toast at midnight. Full a la carte menu also available, plus winter wonderland desserts and a festive Bourbon Eggnog cocktail. Patina Restaurant is a venue of incomparable sophistication and conveniently located inside The Walt Disney Concert Hall. Experience our award-winning culinary heritage this holiday season with Chef Andreas Roller’s contemporary French cuisine. 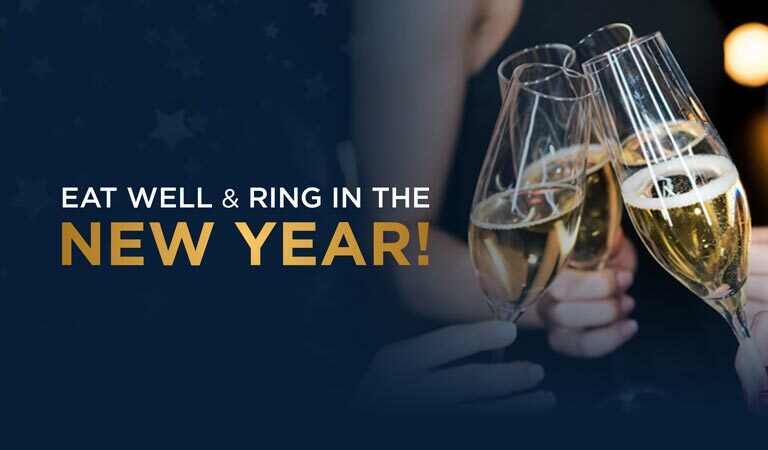 Choose from Three, Four & Eight-Course menus, enjoy a complimentary chef’s amuse bouche and Champagne toast at midnight.